Easter is a special time for Christians because we remember and celebrate the death, burial, and resurrection of our Lord Jesus Christ. 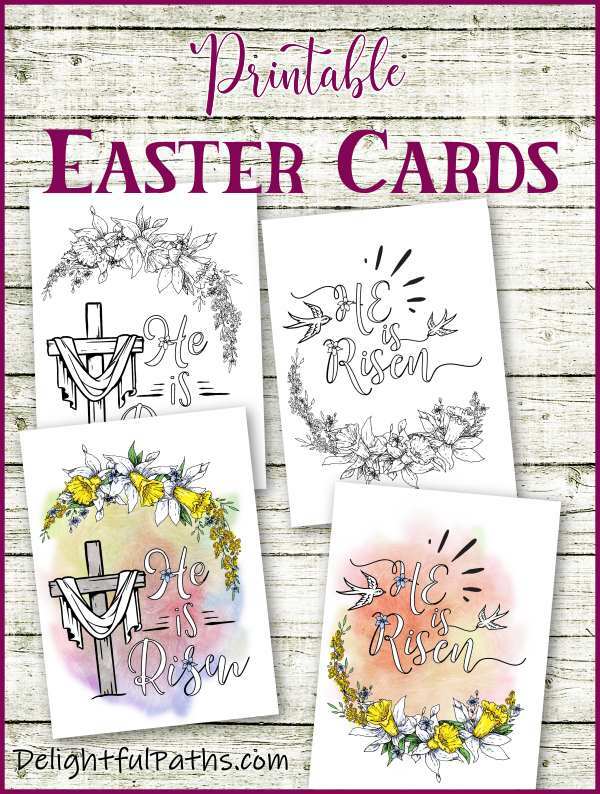 So I have designed some printable Easter cards for you. There are two designs. Both come in two versions – one pre-colored and the other for coloring. 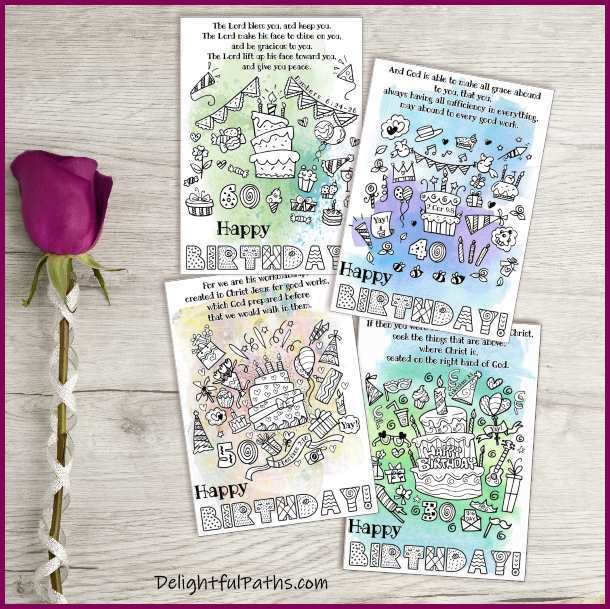 Here you’ll find printable milestone birthday cards for adults. There are two versions for each design. One is for coloring and the other has a pretty background, so you can just print it out, fold it and give it! A precious friend of mine just had one of those milestone birthdays, so I designed a special card for her. Free printable pet sympathy cards to give to someone who has lost a beloved cat or dog. 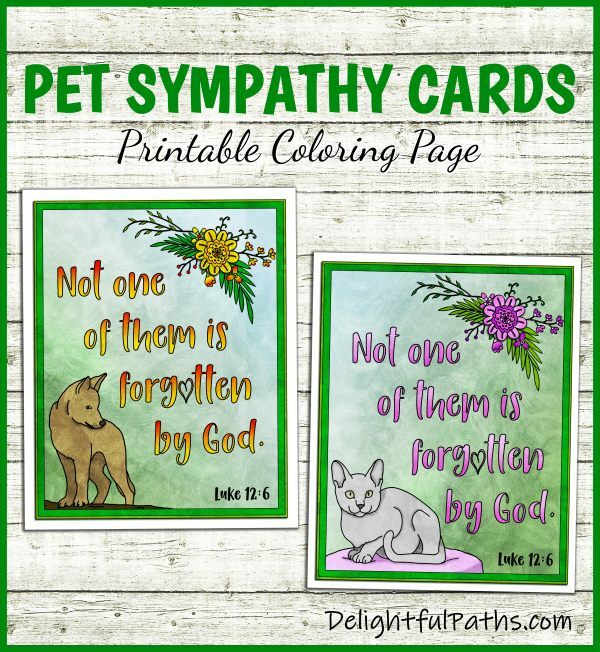 You can print and color these cards featuring a Bible verse and either a sweet dog or cat. This week we had to say goodbye to our sweet little 18 year old dog, Bingley. We have many precious memories of him, and have shed quite a few tears. He may have only been a dog, but our pets have a way of getting into our hearts, don’t they? 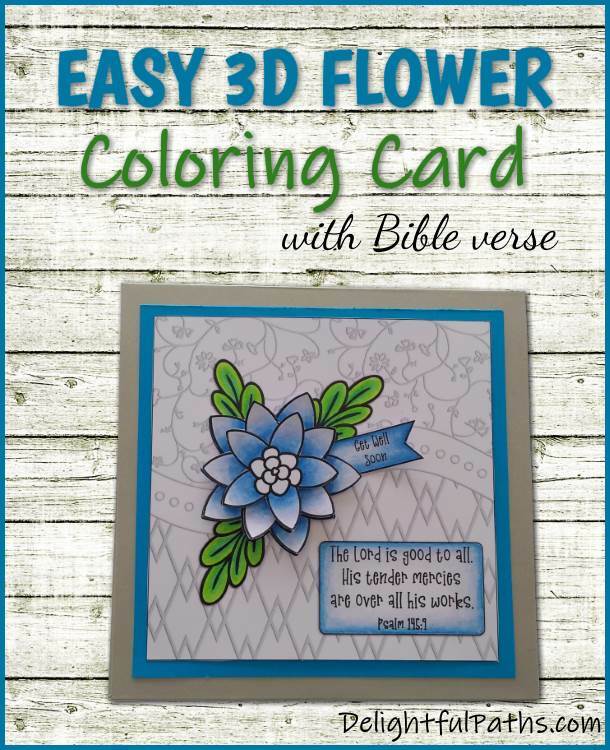 Make a pretty floral handmade greeting card with the free easy 3D flower card coloring page featuring a Bible verse from Psalm 145. 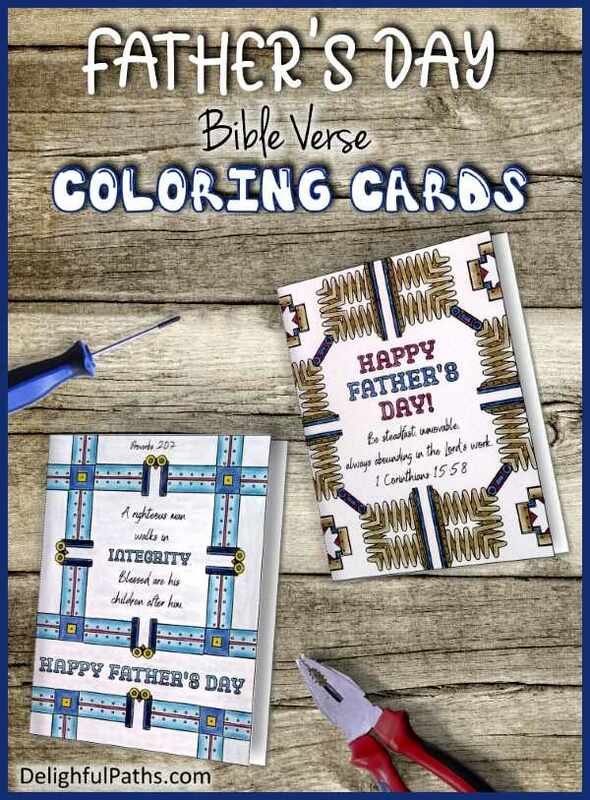 Here are two simple, but effective Father’s Day Bible verse coloring cards (for adults) with metal patterns front and back. Make something special for your dad this Father’s Day! On Father’s Day, it’s great to be able to give your dad something special to say thanks, and to tell him that you appreciate him. A lovely way to do this is to make something yourself. So, how about a handmade card – an idea, which does not have to be complicated or time-consuming. The coloring cards in this post are nice and easy and can be completed quite quickly. 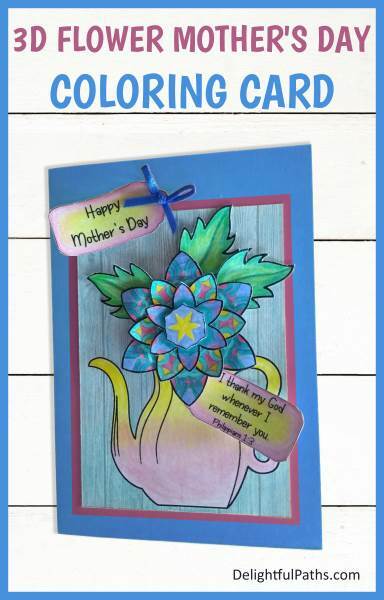 With Mother’s Day just a week away, I have created a 3D flower Mother’s Day coloring card printable we can craft and send to our moms. This is a card which is easy to put together, and yet looks effective – something really special for your mom. The flower is made to look 3-dimensional by being made from 4 layers.